The suspect, identified as Alvin Wiltz (AKA Gator), pulled out a handgun and shot the victim in the chest. The suspect then fled the area on foot. The victim was transported to a nearby hospital where he is currently receiving treatment. The condition of the victim is unknown at this time. 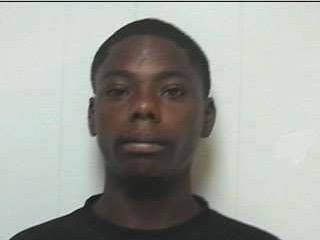 An arrest warrant charging Mr. Wiltz with Attempted 2nd Degree Murder has been obtained by the Abbeville Police Department. Mr. Wiltz is to be considered armed and dangerous. If anyone has any information on the whereabouts of Mr. Wiltz, please contact the Abbeville Police Department at 893-2511 or Lt. Jason Hebert at 523-1791. Callers may also contact the “Tips” line at 892-6777. All callers may remain anonymous.